Apparent Positions is a series of installations by contemporary artists who work with the moving image. 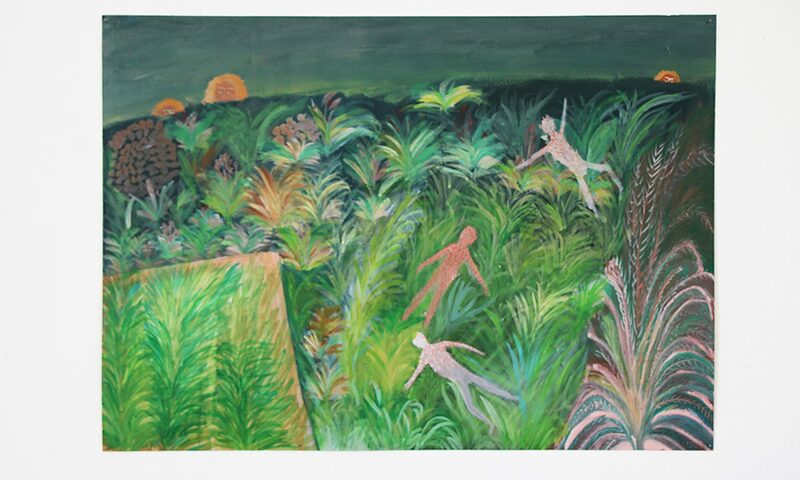 Based around the notion of transfigured space, the four shows – separate, yet in dialogue with one another – comprise work which deals with spaces imagined, implicated, even compromised. Complicating and subverting the construct of landscape and the Romantic tradition, the films summon the notion of the plurality of place, of a meta-landscape; and beyond that, of the active site, loaded, both defining and defined by interaction with its occupants and would-be occupiers. The first of these installations presents Concrete and Samples by Aglaia Konrad. Originally from Austria, Aglaia Konrad is based in Brussels. Her work, which encompasses photography and film, has received solo exhibitions in Siegen, Antwerp, Geneva, Graz, Cologne and New York, among other cities; and in group shows including Documenta X (1997), Cities on the Move (1998-1999) and Talking Cities (2006). Concrete & Samples I, II, III is a series of 16mm films on sculptural architecture. 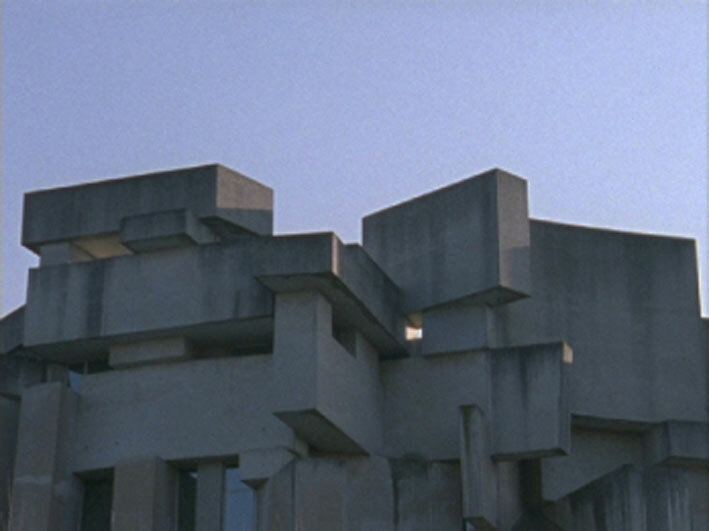 The sites in all films, while disparate, embody the idea of ‘architecture as sculpture’ and a very distinct use of concrete that seems to depart from the free form of the whole in a sculptural manner. In the absence of a traditional narrative, it is space itself that takes the central role, while the camera proposes a narration by negotiating the spaces in time. The Sainsbury Centre for Visual Arts is situated on the University of East Anglia (UEA) campus, on the West side of Norwich.